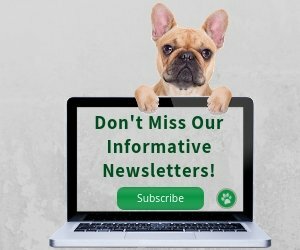 Dog eczema is a general term used to describe a number skin disorders in our dogs, and more often than not, chronic skin disorders are an indication of a deeper internal health problem. To rid your dog of eczema, it is important to look beyond the skin disorder itself - try to work with a holistic vet to find out what, if any, the underlying health problem your dog is suffering. Only after the underlying cause has been identified can we really deal with the problem. 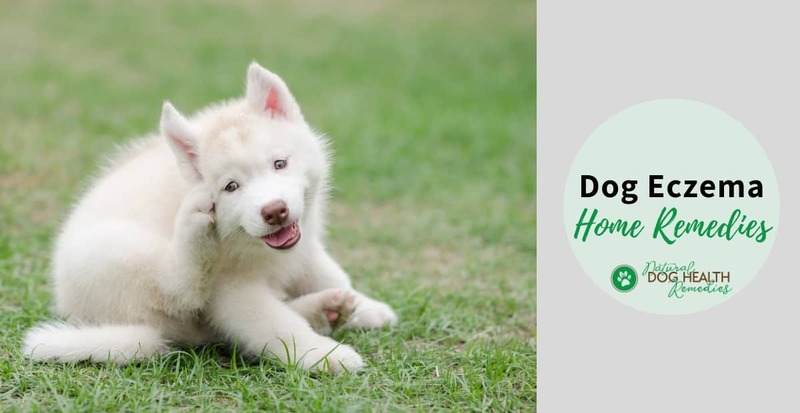 Of course, we should also try to alleviate the symptoms of dog eczema because skin irritations can cause a lot of discomfort and stress to our dogs. Natural remedies such as herbs and supplements are milder and safer options in this respect. There are numerous possible causes of skin disease and diagnosis can be extremely complicated, and it can be frustrating and time consuming to identify what causes your dog's skin disorder. But don't despair! Be patient! Identifying the cause is essential to curing your dog so work closely together with your vet. Poor-quality commercial dog food is a common cause of eczema in dogs since the food does not have all the essential nutrients that are so important for healthy skin and coat. In fact, one way to see if a dog diet is healthy or not is to look at the dog's skin and coat condition. Poor skin/coat condition is often an indication of poor-quality food. If you have been feeding your dog commercial dog food, try switching to a better-quality brand, or better yet, try giving your dog natural, home-made food. Dogs may develop chronic skin disorders if they are continuously exposed to environmental pollutants such as pesticides, flea chemicals, exhaust gas, chemicals from household cleaning materials, synthetic furnishings, and so on. Airborne allergens and irritants such as pollens, house dust, cigarette smoke can also cause skin problems in dogs (atopic dermatitis), often manifested as skin irritations with eczema-like symptoms. Over vaccinations may weaken the dog's immune system, thereby inducing immune disorders which may be manifested as skin diseases. Some dogs may develop chronic skin disorders as a result of psychological problems, such as boredom, frustration, depression, anxiety, or anger. This wonderful shampoo contains 3.8% colloidal oatmeal, which is simply oats ground into an extremely fine powder. It also contains other herbs such as green tea, aloe vera, calendula, etc. that soothe and heal the skin. 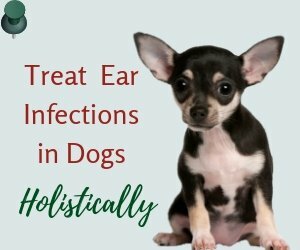 You can also use herbs topically to help soothe your dog's skin. An herbal poultice can be applied to skin areas that are red, itchy, and inflammed. Herbs that have astringent, anti-bacterial, and wound-healing properties are ideal for such a purpose. If your pet has extremely itchy skin but the skin shows no reddness or other visible change, try using an oat poultice on the affected area to relieve itchiness. Cook some oatmeal into a paste. Allow it to cool and then apply liberally to the affected areas. If your pet's skin is red and itchy, then try using a calendula tea rinse. Calendula has anti-inflammatory, anti-bacterial, anti-viral, and anti-fungal properties and it is very effective in wound-healing. To make a calendula rinse, add 30 drops of calendula tincture to a cup of hot water and let the tea cool down. Use the tea as a rinse, apply it to the affected area, and let it drip dry. Repeat two to three times a day. A green tea poultice can be applied topically to badly inflammed areas after the dog is shampooed and the skin is dried off. Green tea contains tannic acid which can dry up moist areas caused by inflammation. To make a green tea poultice, steep a couple of green tea bags in a cup of hot water and let the tea cool down. Use the tea as a poultice and apply it to the affected area. Repeat two to three times a day. If your pet has inflamed lesions on her skin, try using a chamomile tea poultice. 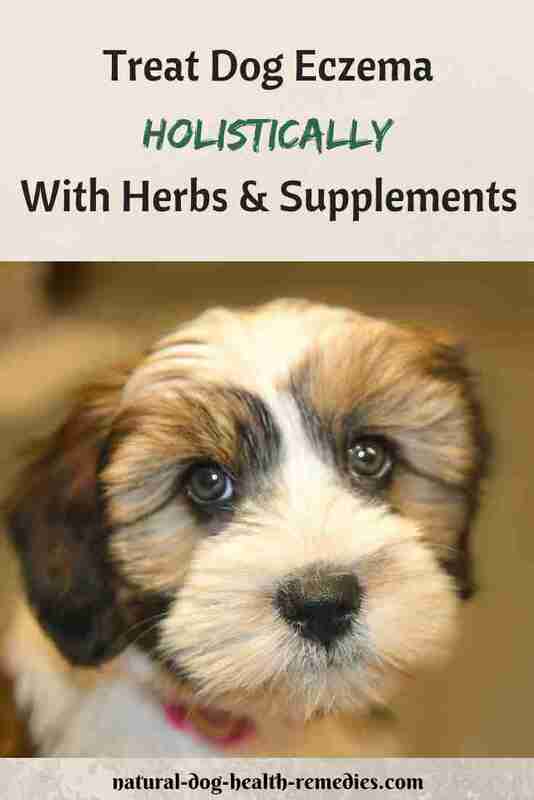 Chamomile also has calming effect on the animal even if applied topically. A chamomile poultice can be made in the same way as a green tea poultice. Dilute 20 drops of the tincture in 1 cup of water, mix well and pour it into a spray bottle. Spray liberally on affected areas (avoid the eyes). For skin with open scratches, scabs, or oozing wounds, use equal parts of yarrow and calendula tea to make a rinse. Yarrow is a very effective healing herb and when used in combination with calendula, the mixture will speed up the healing process and inhibit bacterial infection. Neem oil is also effective in treating skin problems such as eczema. Please visit this page for more information. 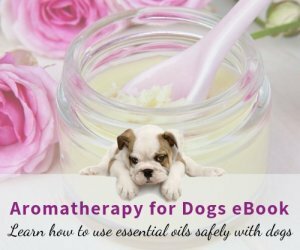 How About Essential Oils for Dog Eczema? Dogs with eczema usually have very sensitive and irritated skin. Essential oils could be a bit too drying and irritating to such dogs. (The same is true for people with eczema.) Sometimes even skin nourishing oils such as Lavender and Carrot Seed oils could be too much for the skin to handle. For dog eczema, I prefer using hydrosols, which are milder than essential oils. Hydrosols that are good for skin support include Lavender, Melissa, and Yarrow. Use any of the above hydrosols and dilute it with distilled water or aloe juice (50:50), and use it as a spray. Spray the affected areas 2-3 times a day. In addition to the use of topical remedies to soothing the dog's skin, it is also important to work on the "inside" of the dog. Many dog parents ask, "What's the best dog food for eczema?" Hands down, the best dog food for eczema is a natural, balanced, home-made diet (either raw or cooked). Make sure that the ingredients used are anti-inflammatory. Ingredients that may likely cause inflammation in dogs include refined grains, soy, starchy vegetables (e.g. potatoes), and processed meat. These should be avoided if your dog has eczema or other skin problems that cause inflammation. Ingredients that are anti-inflammatory include lean animal proteins (e.g. chicken meat, turkey meat, fish such as salmon), some fruits and veggies (e.g. blueberries, strawberries, pineapple, kale, broccoli, sweet potatoes), coconut oil. If you cannot home cook for your dog, choose an all-natural dog food that uses human-grade animal proteins and plants as the ingredients. In addition to a healthy diet, supplements are also important to help relieve your dog's itch and improve his skin conditions. Omega-3 Fatty Acids - Fish oil such as salmon oil is rich in Omega-3 FAs which have anti-inflammatory properties and can be very effective in easing and soothing itchy skin. Many dogs develop chronic skin disorders when their waste-removal and immune systems are weakened. It is therefore essential that these vital organ systems (the liver, kidneys, lymphatic and immune systems) be supported and nourished by herbs that are nutritive. Burdock root: Burdock is a good herb to use to detoxify the body. It has blood-cleansing functions and can eliminate toxins from the body. It supports the liver which is a main toxin-removal organ. Burdock is good for dry and scaly skin. Cleavers: This herb improves lymph circulation, therefore helps remove waste and toxins from the body. Echinacea: In addition to having blood purifying functions, this herb is very effective in enhancing the immune system, strengthening the body in resisting infections. Licorice root: Licorice root is often referred to as "natural steroids" because it contains a compound called glycyrrhizin which helps stimulate the adrenal glands to produce its own natural corticosteroids. As you know, corticosteroids are anti-inflammatory. In other words, licorice root can produce the same effects as those produced by synthetic corticosteroids - giving relief from the itching and inflammation. The good thing with licorice is, unlike synthetic corticosteroids, it is immune-supporting and does not cause side effects. Nettle: Nettle is good for those (both people and dogs) who suffer from allergies. It has antibiotic properties, stimulates blood circulation, and is widely used in herbal remedies for skin disorders (such as eczema). Red Clover: Red clover has antioxidant properties. Sarsaparilla: This herb is antibacterial, a blood purifier, and is good for chronic skin conditions. Yellow Dock: Yellow dock is good for the liver and helps eliminate toxins. This herbal supplement contains some of the herbs mentioned above and more, and is extremely useful in toxin removal, blood cleansing, liver and immune support. 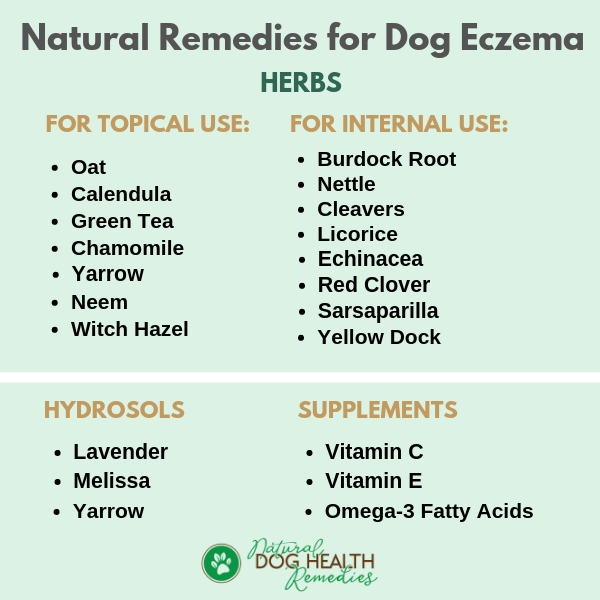 If your dog has skin problems such as dog eczema, use this supplement to cleanse the systems and help treat the skin problem from the inside out! This natural product has a lot of herbs that support skin health (e.g. burdock, red clover, yellow dock, calendula) and the soft chew is a perfect way to supplement your dog!